Bloodguilt – A shocking murder, a scandalous affair, a long kept secret and a painful loss unfold as lives merge in this provocative novel. For the past six years, Scott Henry’s life as church administrator at St. Michael’s has been settled…a good job, friends, family and a quiet home life. Suddenly his season of change comes in like a storm with the death of a close friend, the breakup of a marriage, a bizarre murder and waning interest at work. Each event plays a role in his personal struggles and tests his faith as changes in the seasons of lives around him converge to move him from a place of comfort to a place of God’s choosing. 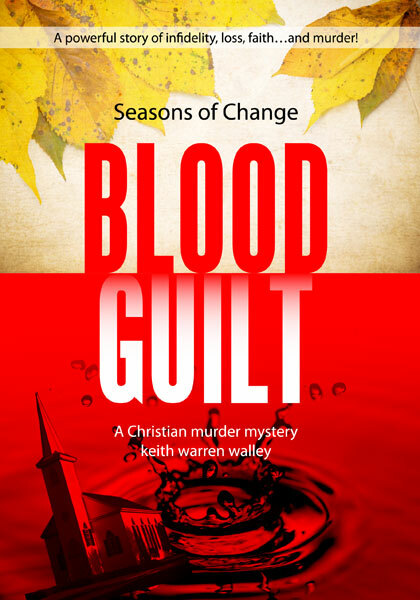 Christian author Keith Warren Walley’s third installment in his Christian mystery book series, following the adventures of Scott Henry.